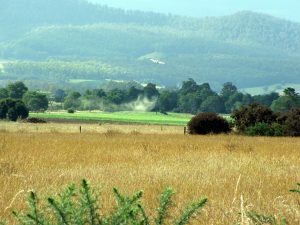 Cloud of spray drift, photo taken 15 feb 2008 Meander Tas. Plane spraying crops. Adjacent to the Meander River, 13 kilometres approx from Deloraine town water intake.